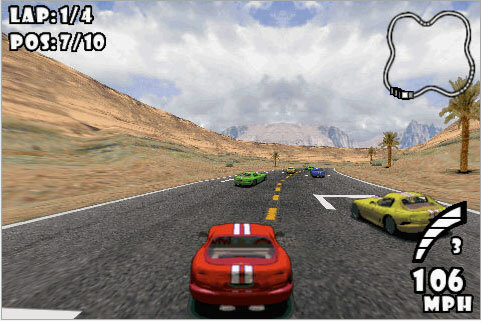 Another racing game has found its way to the iPhone in the form of Astraware's GTS World Racing [$7.99, App Store]. The racing title promises to bring a more traditional arcade-style racing title to the iPhone, complete with 16 locations, 64 different track layouts and 3 different car types to chose from. The tilt-controlled racer also offers four different play modes and four difficulty levels.